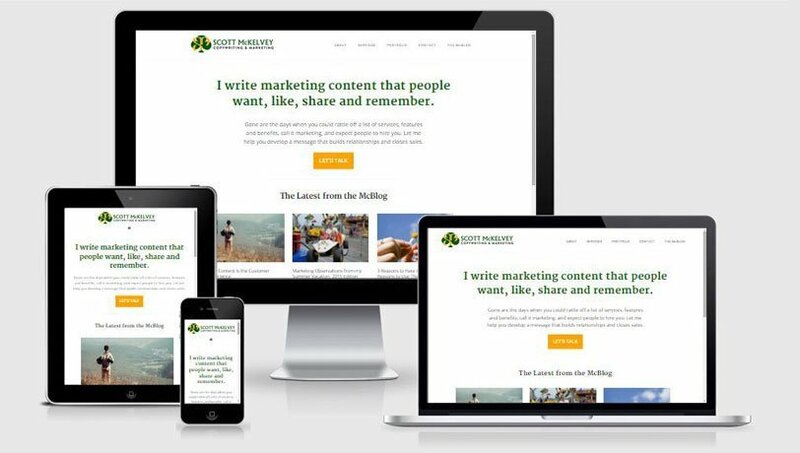 Scott McKelvey Consulting LLC provides copywriting and marketing services to help his clients develop messages that build relationships and close sales. Scott contacted me about a redesign project for his existing website. In keeping with a tradition he’d previously established, the goal was to launch on St. Patrick’s Day, so I got started in February so it could be done in early March and he could know everything was going to be good to go for launch day. He provided me with rough mockups of how he wanted the site to look and explained that he wanted to simplify both the look and feel as well as the functionality. Once I had everything worked up, I transferred the site from my development server over to his hosting account on Thursday, worked through some final revisions, and it was ready to go for Scott’s St. Paddy’s post on the McBlog. You can read more about how he made decisions about his redesign in that post.